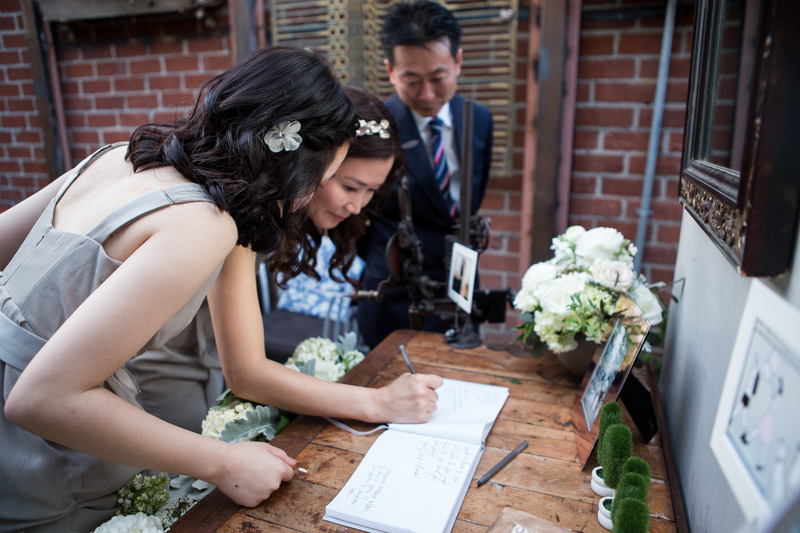 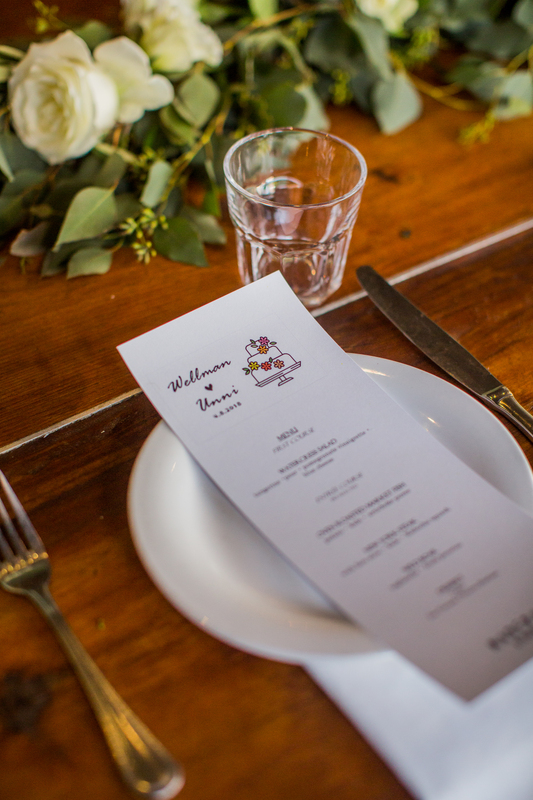 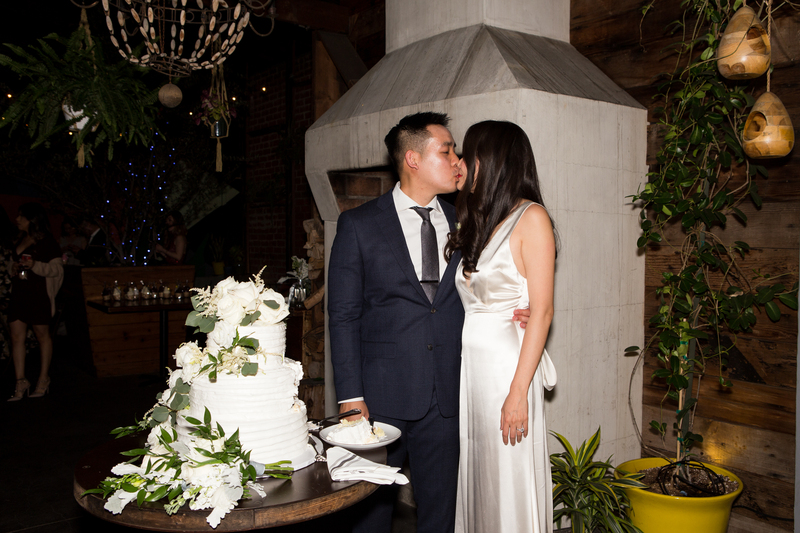 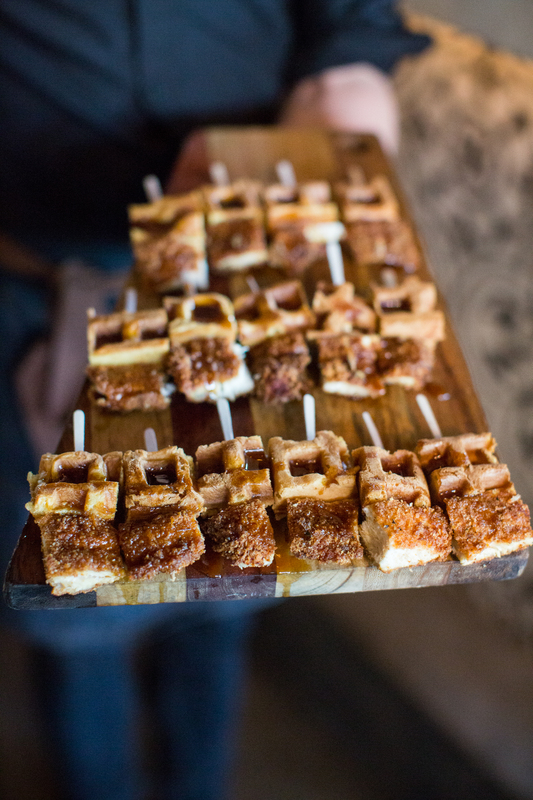 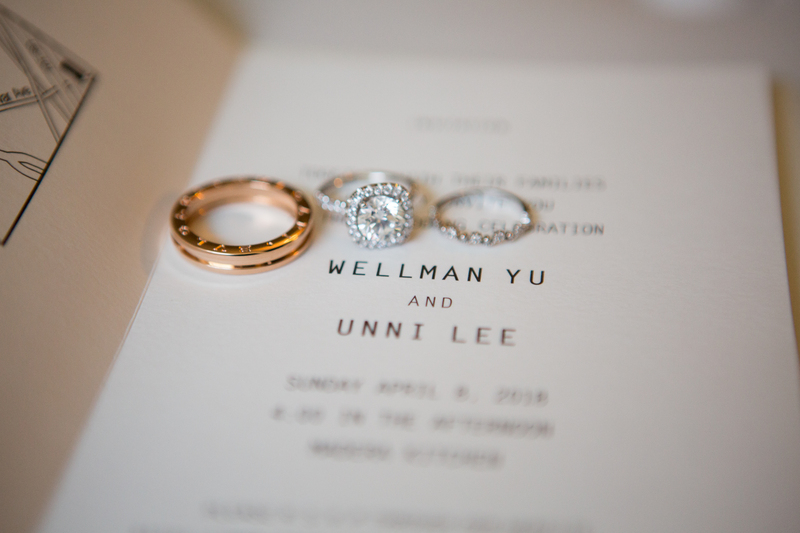 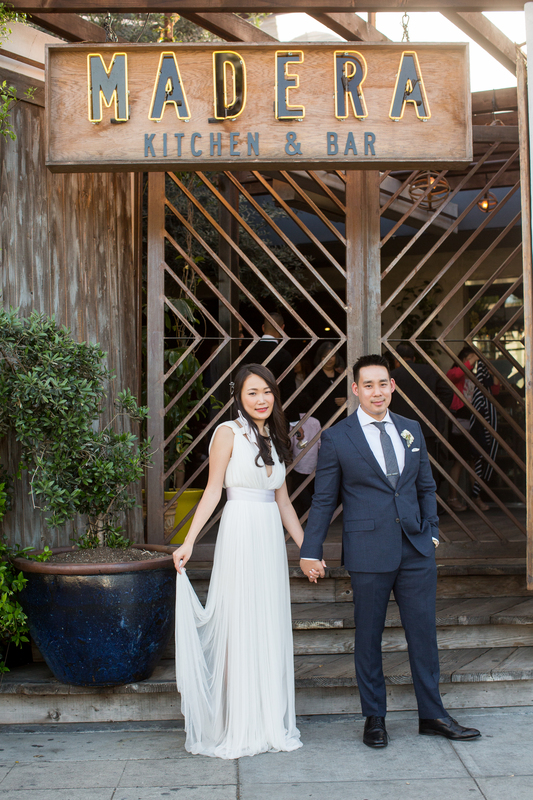 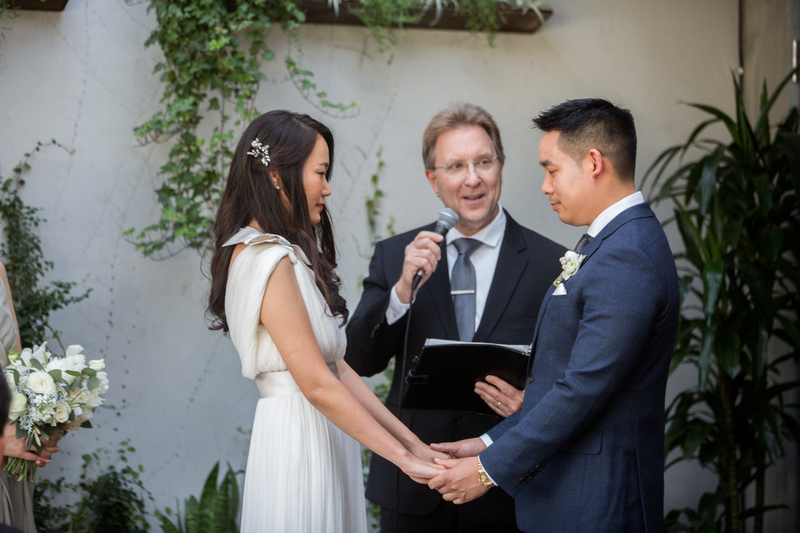 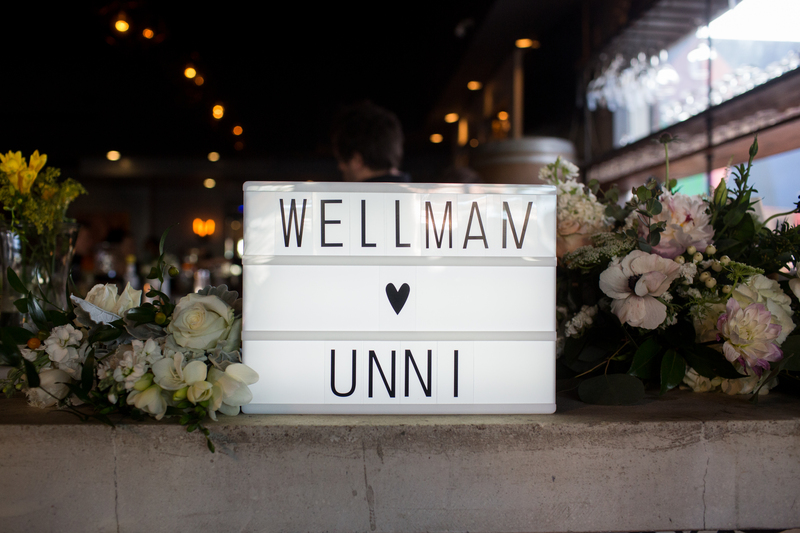 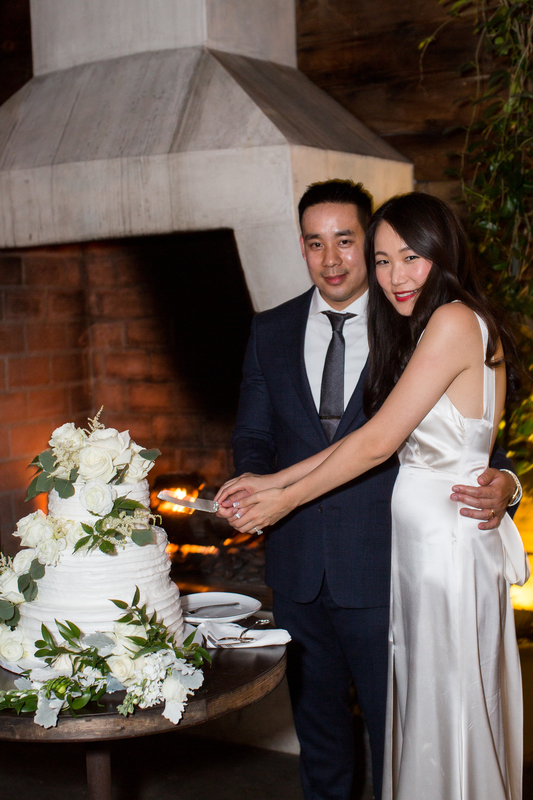 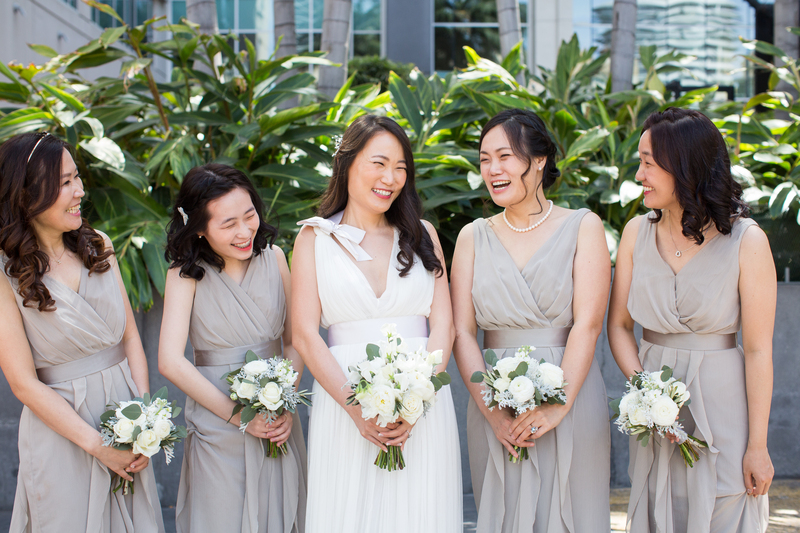 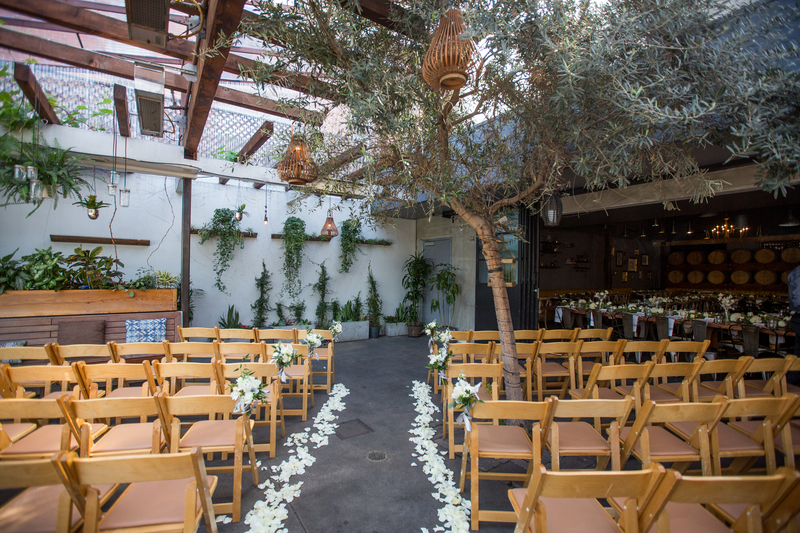 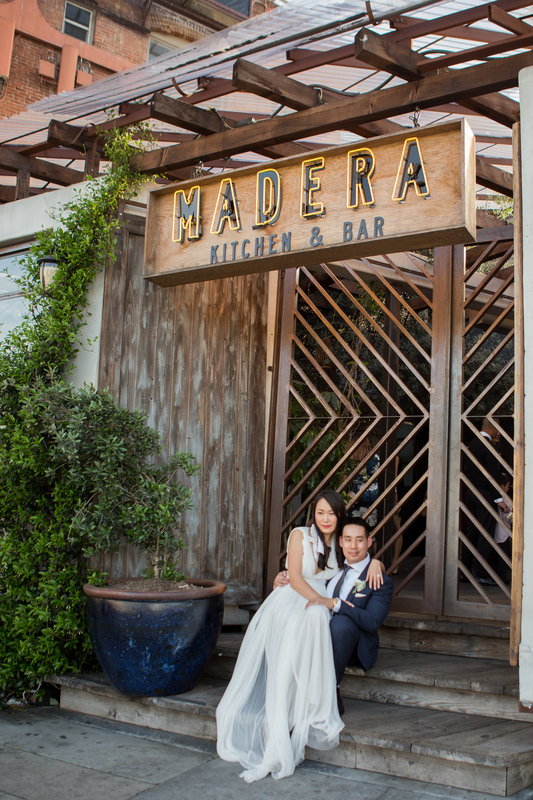 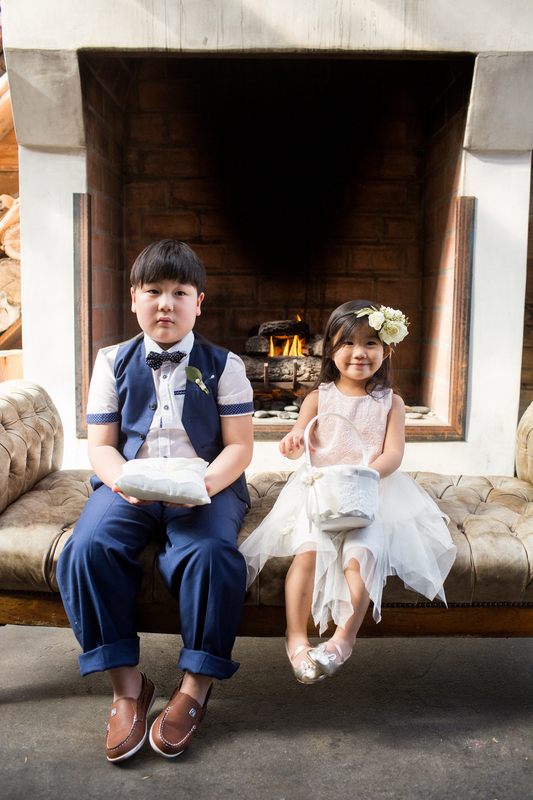 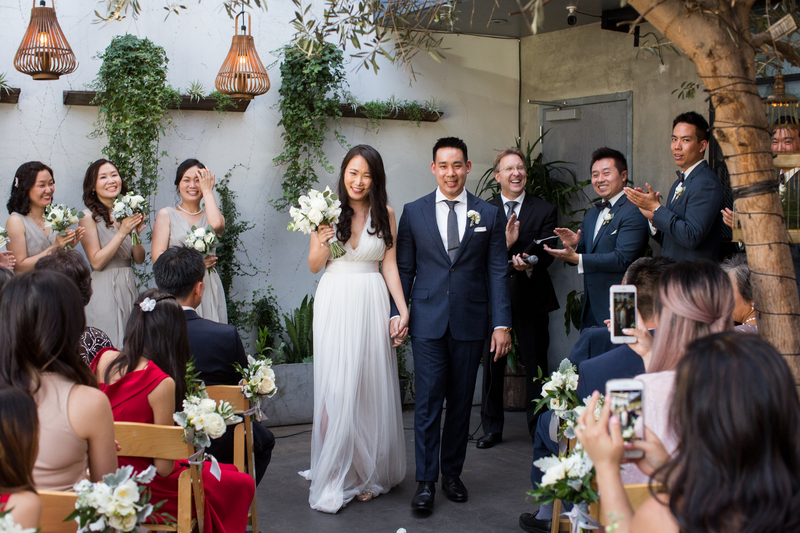 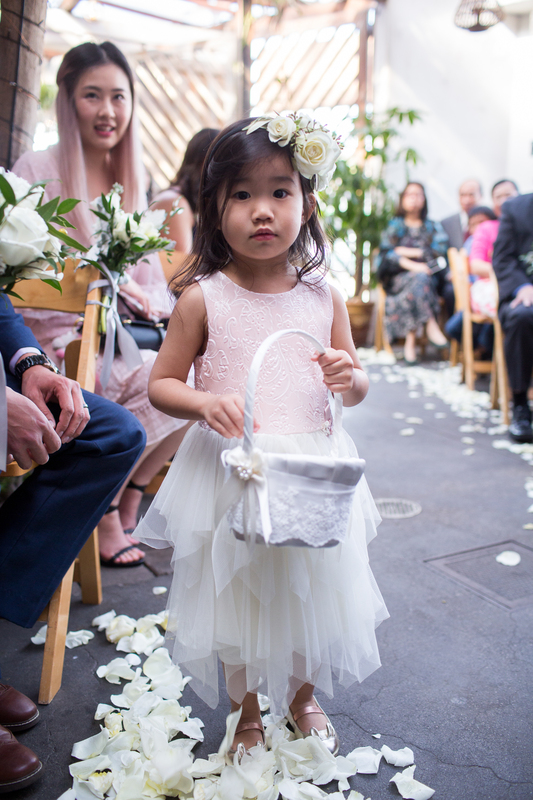 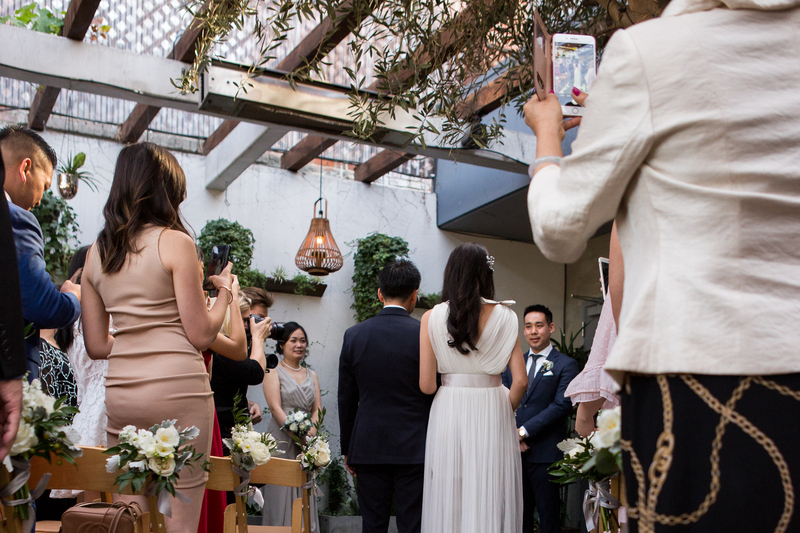 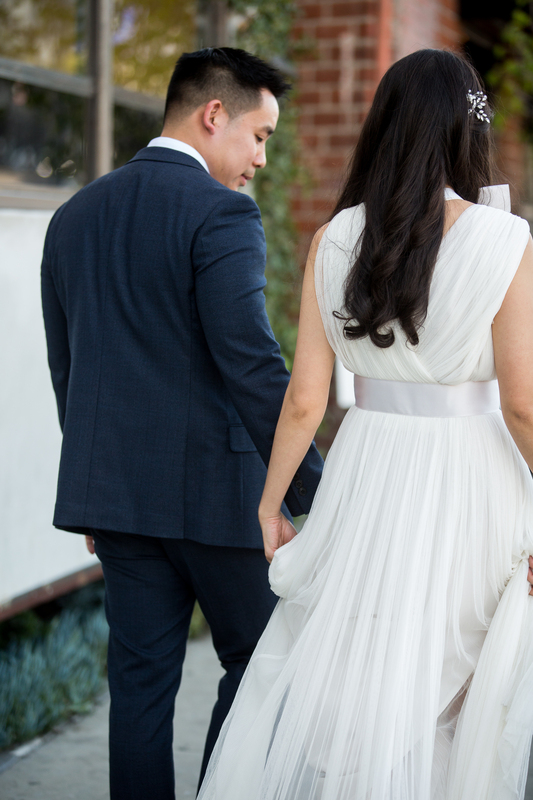 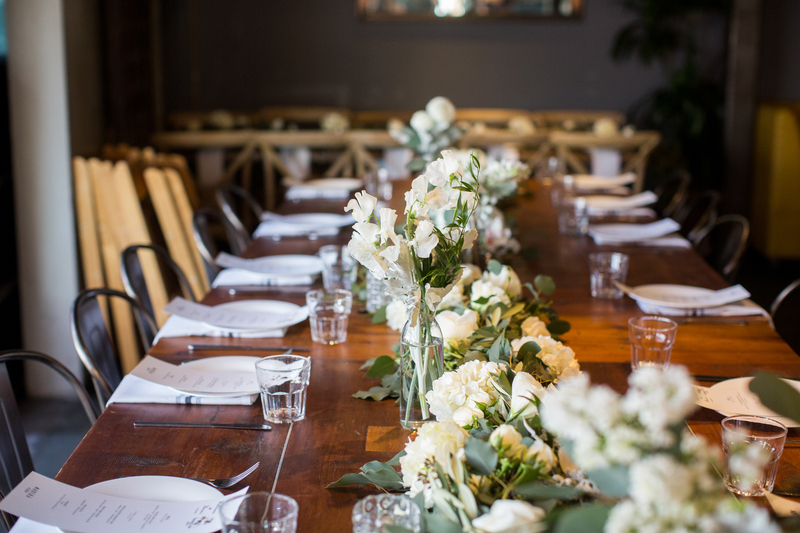 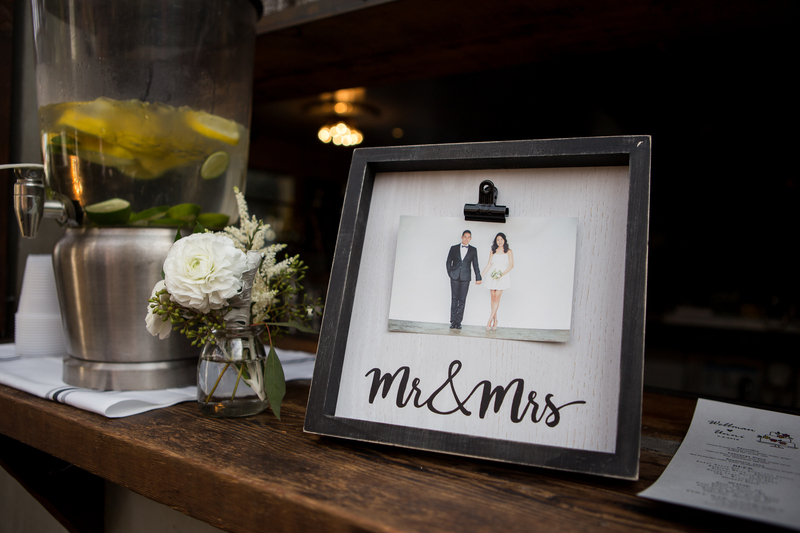 Wellman and Unni’s wedding was a gorgeous celebration that took place here at Madera Kitchen in Los Angeles, CA. 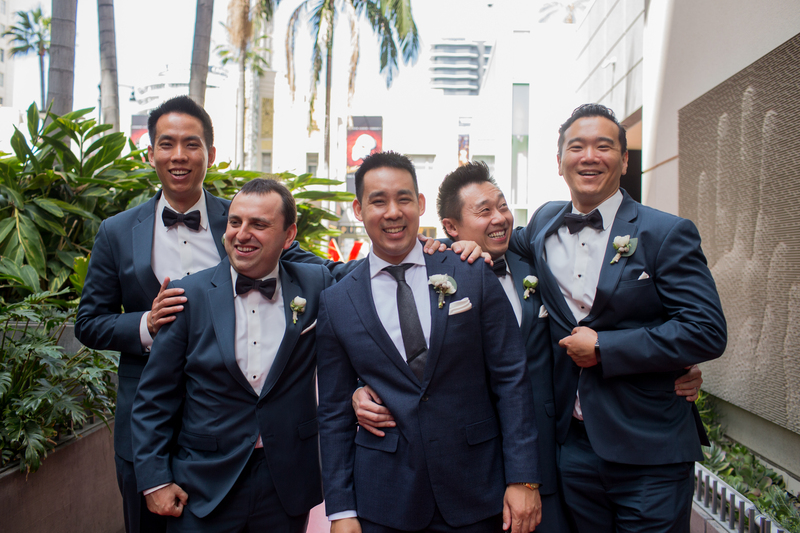 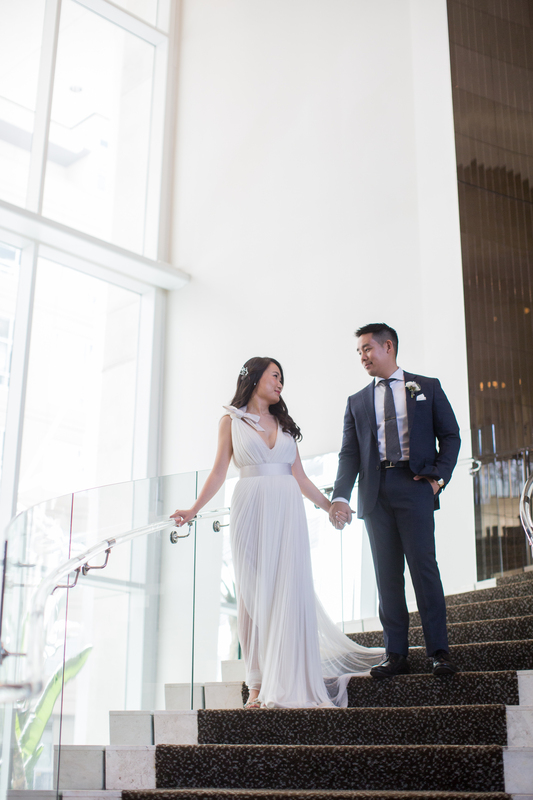 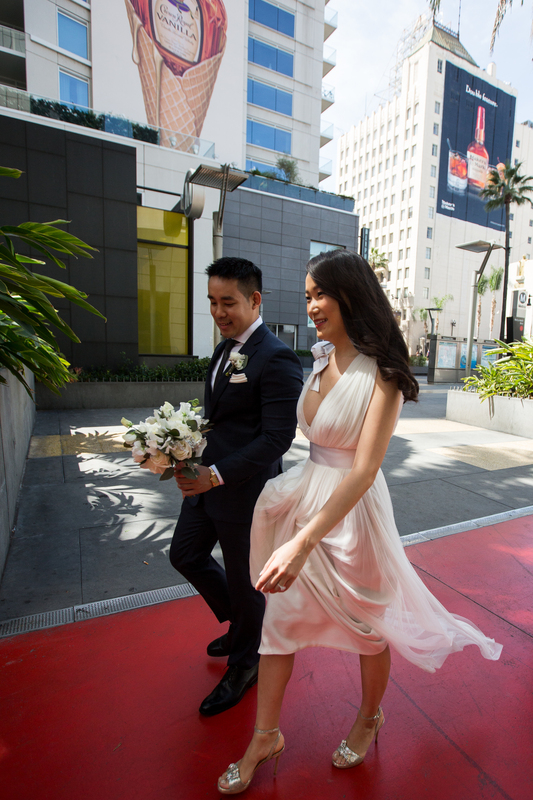 The couple started their big day by getting ready with their wedding party at the W Hotel in Hollywood. 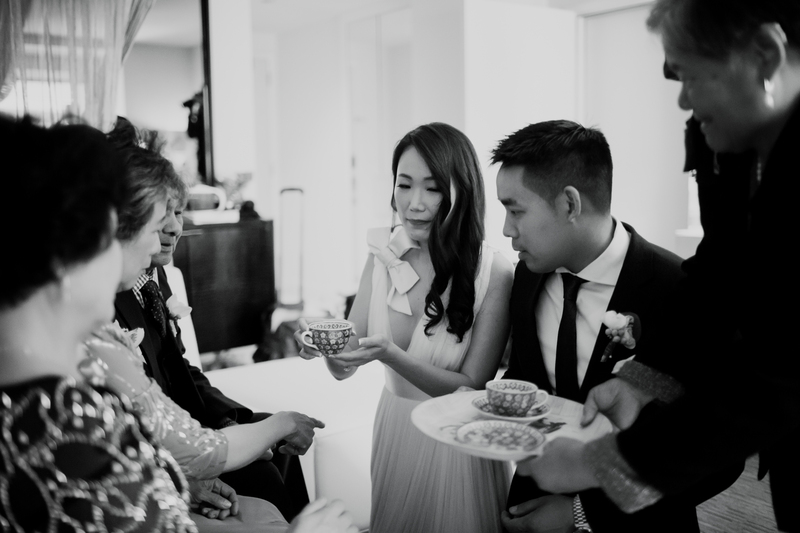 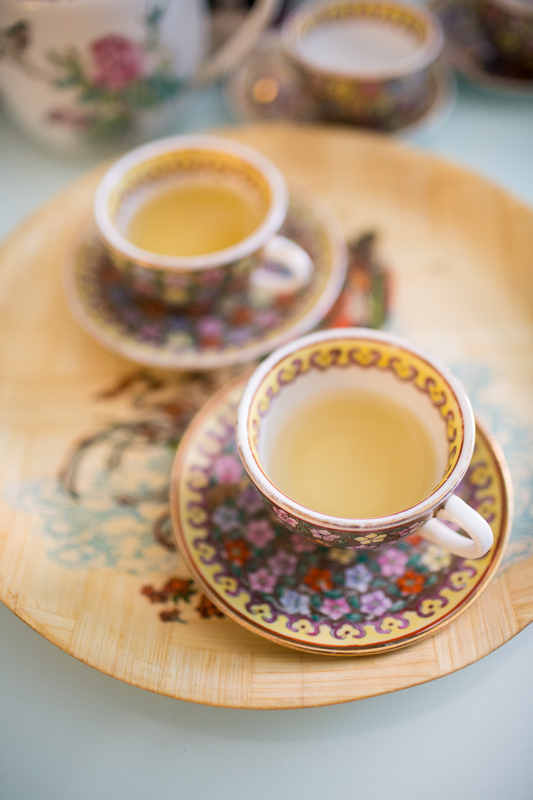 While at the hotel, the bride and groom had a tea ceremony with the parents before heading off to the wedding ceremony. 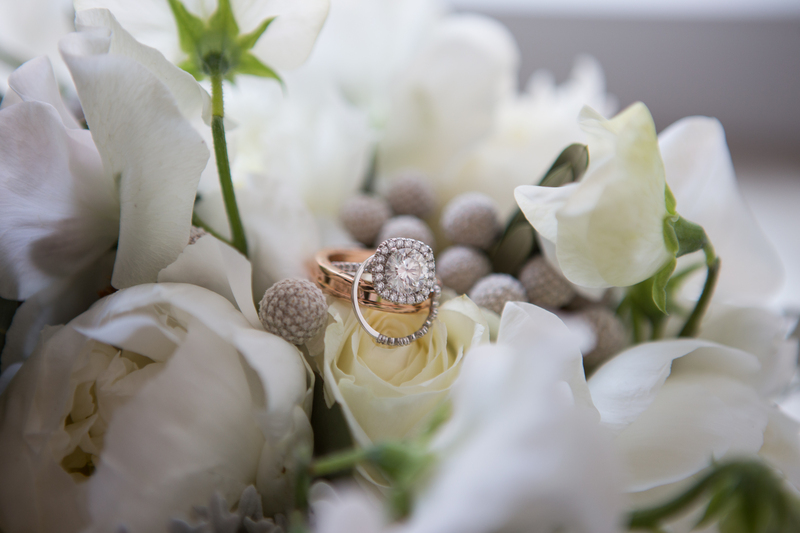 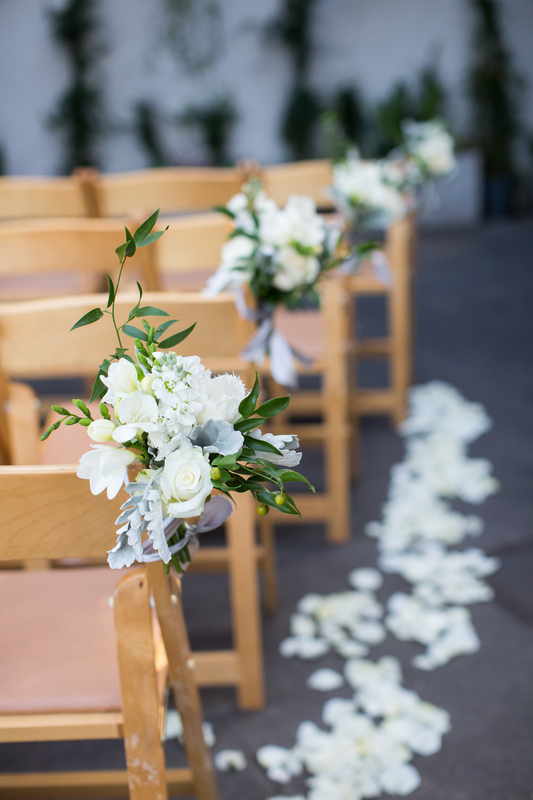 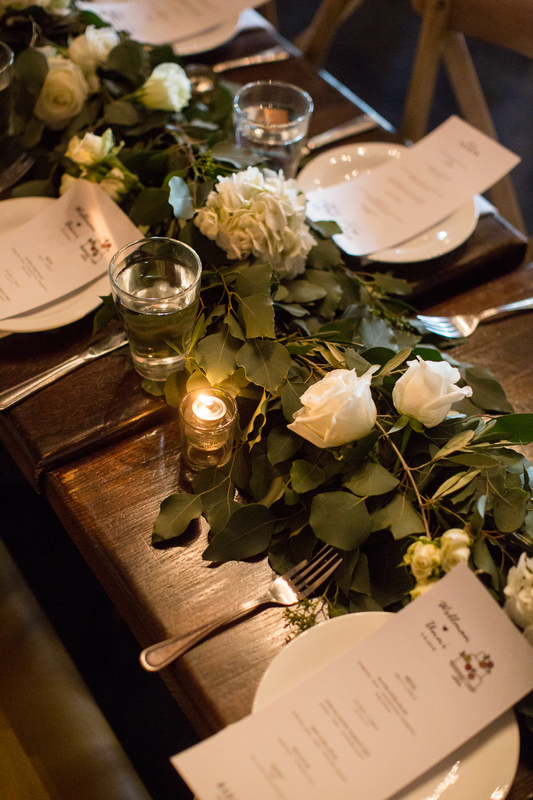 Fresh white flowers adorned the entire venue and gave the reception a classic vibe. 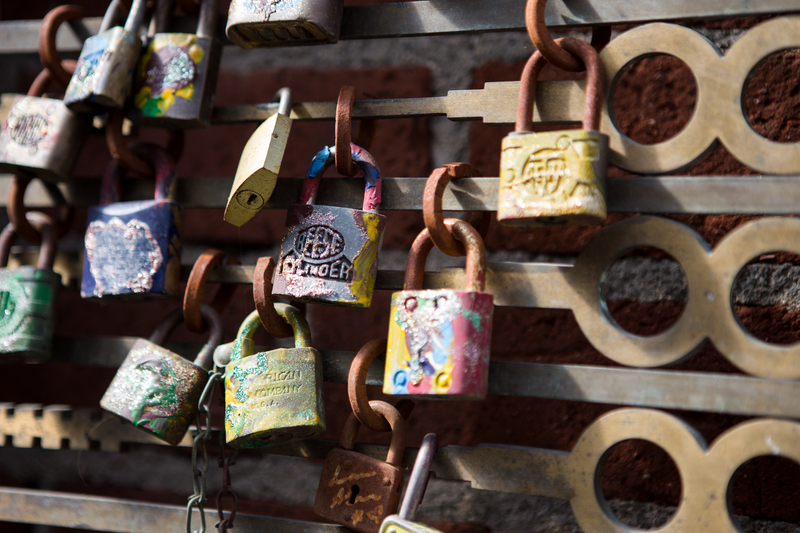 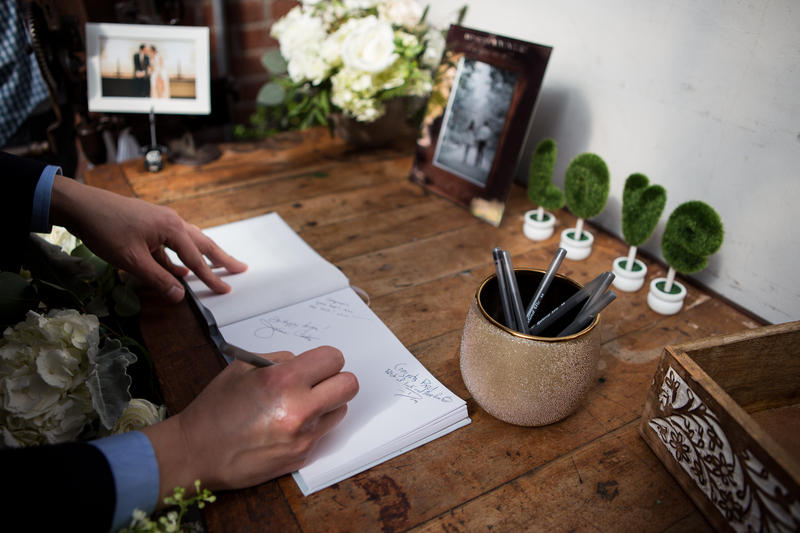 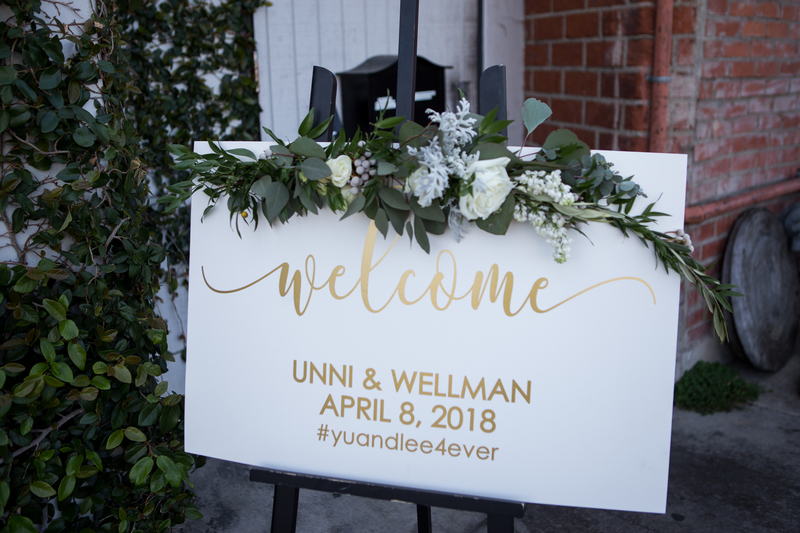 The hashtag #yuandlee4ever was encouraged for guests to use to tag all of their Instagram memories. 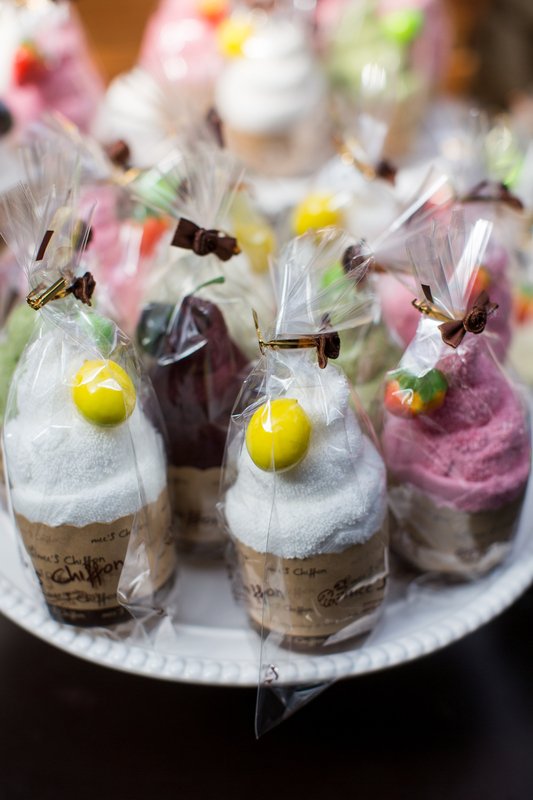 Fun and fruity cupcakes decorated a dessert table for the guests to enjoy throughout the reception. 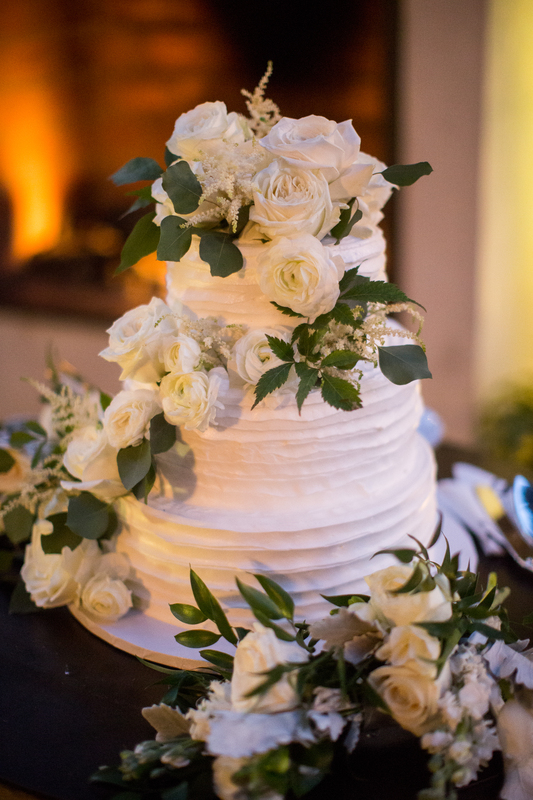 The wedding cake was kept simple yet elegant with ruffled frosting and white flowers that matched the decor. 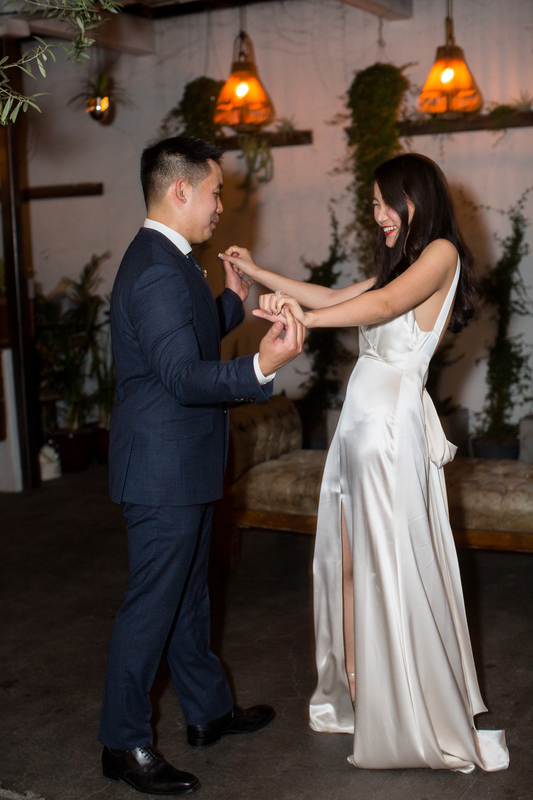 Keep scrolling for more photos!